Two relatively benign words that when put together create headache and heartache for marketers worldwide. Because project management not only requires a strict attention to detail, but also requires a certain kinship with the designers, developers, writers, and bosses to make sure things are getting done on time and with grace. But the worst part: The actual skills behind project management weren’t taught in most marketing classes. They’re being learned on the job as deadlines get missed and processes get overlooked. Instead of reactive project management, what if we could implement proactive project management? The kind of project management that anticipates bottlenecks and workflow issues BEFORE they happen? On Tuesday, January 31st (that’s next Tuesday! ), my pal Jason Falls will be joining Brent Bird from Workfront, the all-in-one workflow management specifically designer for marketers. Failure to plan means planning for failure, right? You’d be surprised by how many marketers jump into a new campaign or strategy without a set plan in place. When you’ve got a project manager in charge, you know you’ll get an organized project plan through which to act. From setting goals and identifying audiences to editing, promoting, and measuring, this part of the project should act as a marketer’s bible for success. We’ve all been there: I’ve got my writing done, but my editor is taking forever to proof my content (was it really THAT bad?). Or I’ve got the landing page ready to go, but my developer hasn’t pushed it live yet (what’s she waiting for?). A realistic timeline accounts for everyone’s work schedules (including vacation and travel days) and can even build in buffers when common bottlenecks are known. For example, if your boss is speaking at an event but you need his or her approval to move forward, you may want to schedule your writing time or your graphics creation time during their travel so that when they return, everything is prepped and ready for the next step. When we live in an age where we don’t even have time to pee, a project manager knows that realistic timelines can make or break the success of a project. It doesn’t help anyone to be overly optimistic about how long things actually take to get done. Are you the type that only talks to your coordinators when there’s a problem? Are you making time for positive interactions among your team that spark collaborative culture? It might be hard to admit, but many of us are constantly working in a reactionary environment, providing way more negative than positive feedback, and are always on the defense. A clear project management system makes the plan obvious and apparent for everyone to see to avoid miscommunication and missed deadlines. Everyone is working toward the same goal, so it’s in everyone’s best interest to be on the same page and support each other with a smile when someone needs help, brainstorming time, or simply a polite kick in the pants. Imagine what would happen if you built a house without a foundation. Or a road without a map. Too many clichés for you? It’s ridiculously simple because it’s true: You can’t ensure quality without a series of checks and balances (and someone to adhere to those checks and balances). I’d take this one step further and say that you can’t measure success without knowing where you are every step of the way. When you start managing projects effectively, you cut down the time it takes to produce quality products, which increases your ROI in return. What? You want me to fail? No, of course not. But I want you to be able to identify gaps quality assurance, bottlenecks in management, and any other issues throughout your processes so that you can address and fix them as soon as possible. This makes you equipped to handle larger, more involved projects and campaigns in the future. The faster you fail, the faster you can learn. And the faster you learn, the better off you’ll be. Do I sound like a fortune cookie yet? 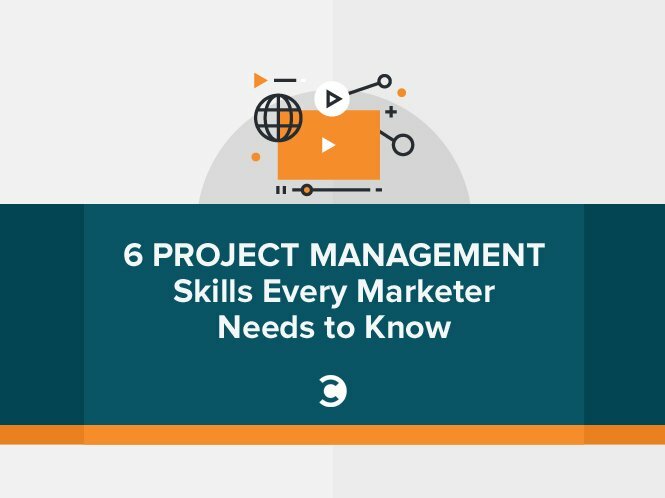 Register for 6 Project Management Skills Every Marketer Needs to Know right now and position yourself as the best project manager on the block. Your boss (and your team) will thank you for it!